This is my initial design concept for project #TinyHouse using #Google #Sketchup for the model. What's unique about this design is it the entire structure can be sent to a CNC router like the one sold at Laguna tools. Once the design passes all of our (evolving) requirements, it can be 'sliced' translated into #gcode, the common term used here to describe this process is called 'nesting'. This essentially converts the design into instructions for the 'Computer controlled Machine' router using a process called #StereoLithography to cut pieces out of a sheet of wood. All the cut outs can then be assembled using 'tongue and groove' joints to build the structure. The initial design allows the core architecture to be constructed without the use of ANY additional nuts and bolts as they will ALL be cut out of the same sheet of wood. Stay tuned for more exciting developments as we progress. 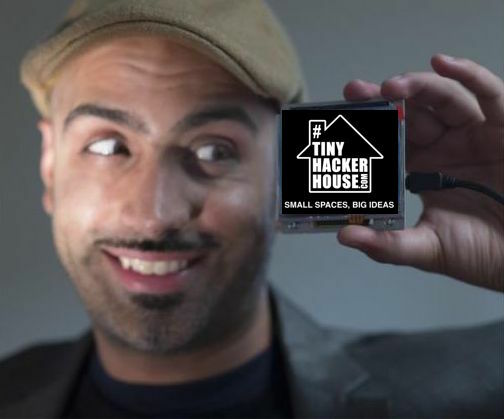 Apr 16 Hackaday - World Create Day $300,000 Cash prizes for ideas that change the world.